At home or at work standing upright for a long time on a hard surface is very uncomfortable and will cause physical pain after a few hours. There is continuous tension on your body and leg muscles to balance yourself. This causes pain and has an influence on the blood flow. 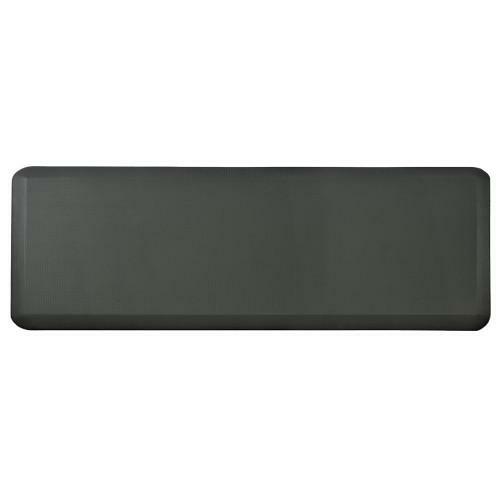 With an anti fatigue mat, your muscles will subtly relax while adjusting to the flexibility of the mat. These muscle movements ensure improved blood flow and increase oxygen supply to the heart. This greatly reduces fatigueness. With our anti fatigue mats you can reduce the pressure on your knees, feet and joints up to 40%. Less tired = better work! You can try our standing mats in the Worktrainer Experience Center or call 088 - 045 08 80 for more information. The Aeris Muvmat is an anti-fatigue mat with which your feet feel in a soft bed of moss and you can alternate from this comfort zone to an active zone with 3D structure. The Standing Desk Mat is made of a thick layer of foam, and is meant for using behind sit-stand workstations, receptions, counters, and other places where one has to stand a lot. Standing, studying and having a meeting standing on a comfortable kybun Plus mat, just with your shoes on? With the Swiss kybun you stand soft and comfortable during work. StandUp is a small desk mat with a nice textile cover in black or grey. The INFINITY Ergomat is mostly used in the production branch. 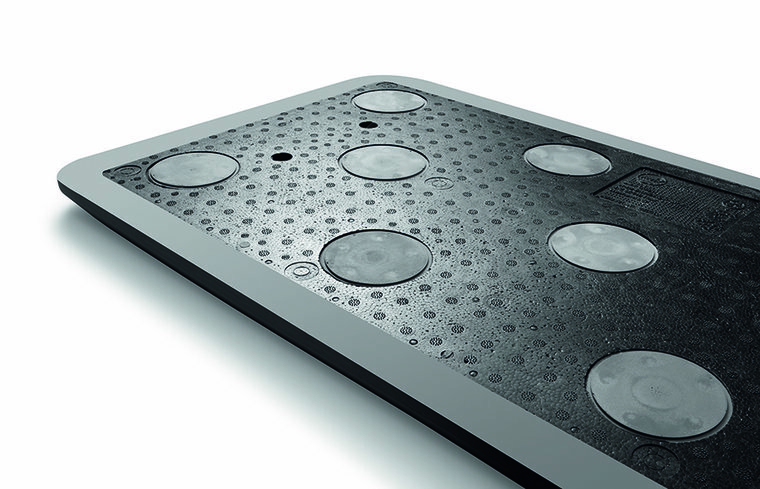 The mat is isolating, anti-slip, shock absorbing and easy to clean. Available in various bright colours. Kick off your shoes and go stand behind your computer on the Nails of Bliss nail mat. The Swedish Acupressure mat has over 5,800 plastic nails. Aside from the large nail mat, there is now also a smaller size. 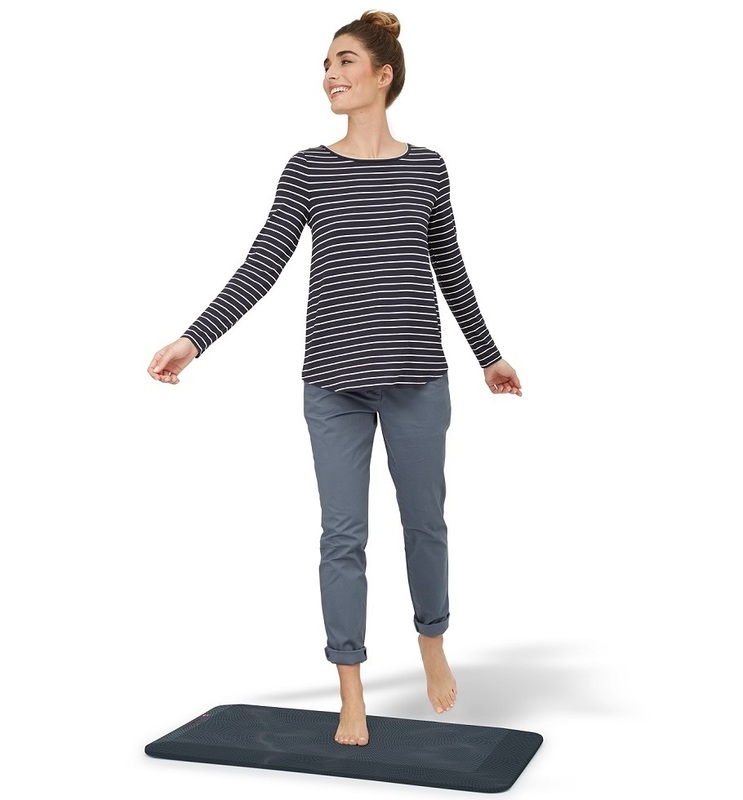 When you're standing on the Nails of Bliss mini nail mat, your body will produce endorphins, which make you happy!